One of my favorite souvenirs from Hong Kong was a copy of Crave magazine. This magazine has a beautiful layout, and is filled to the brim with useful information about food related topics. I continue to have affection for Crave to this day, almost a month after my trip, because it saved me from fainting from boredom during a two hour delay on the runway. Well, my philosophy is, it’s always healthier to make your own. I know what beans I’m using (organic, non-GMO) and I can control the amount of sugar that’s going in. 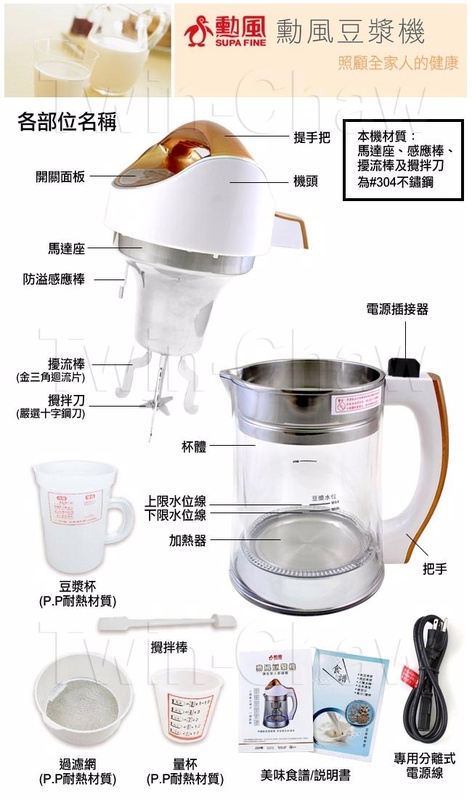 So, to satisfy my curiosity, I borrowed a soy milk making machine from my grandmother’s kitchen, and began my experiment. 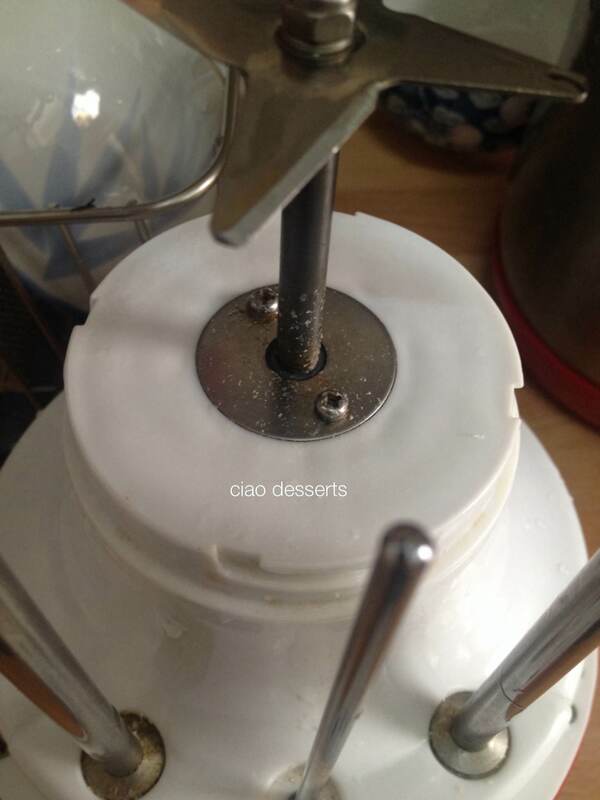 Please note, this will be a photo heavy post, as I want to provide as much detail of this soy milk machine as I can, and show how these details will influence my future purchase of a soy milk maker. 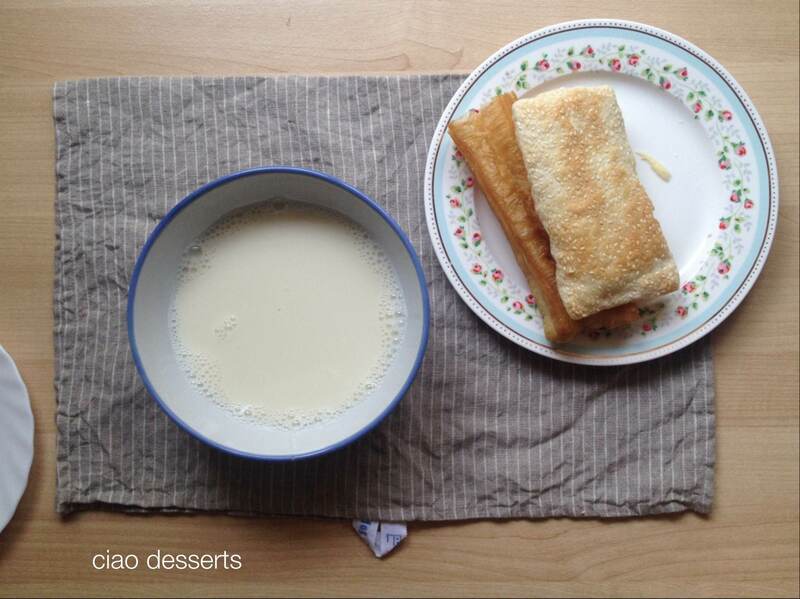 However, if you’re not that interested in the process, you can just admire (and drool over) a photo of my breakfast that day, which was homemade soy milk and shao-bing youtiao (Chinese fried donuts encased in a flaky sesame topped roll). 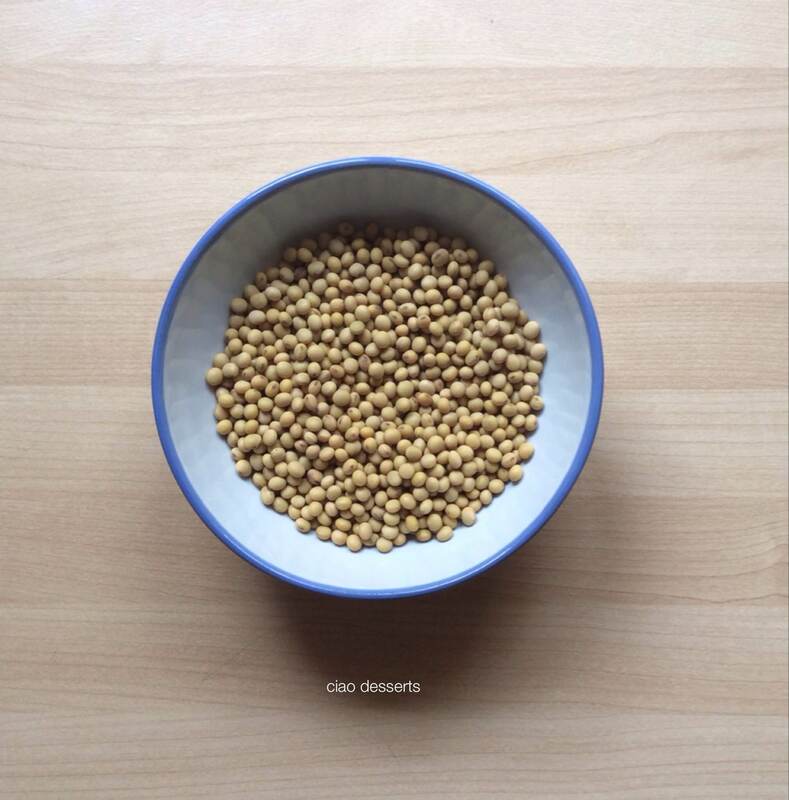 Before you begin making soy milk, you must soak the beans in water first, for at least two hours, but overnight is best. In the meantime, I got out the machine that I borrowed from my grandmother’s house. It’s a few years old, and my grandmother uses it quite frequently. The model is a brand called “CookPot” (鍋寶）and it’s the SBM 1700 model. (There are now newer versions of this machine out on the market now) I wanted to try just a regular, basic, bare-bones model to get a feel for the process. The machine consists of two main pieces, and a detachable electrical cord. The blade is incased in a removable circular… um… cylinder? Thing? Part? Blade protector? I actually have no vocabulary for this. The jug itself is made from stainless steel. I was surprised that it was just naked stainless steel, and that it wasn’t enclosed in plastic, or at least another layer of protective material. 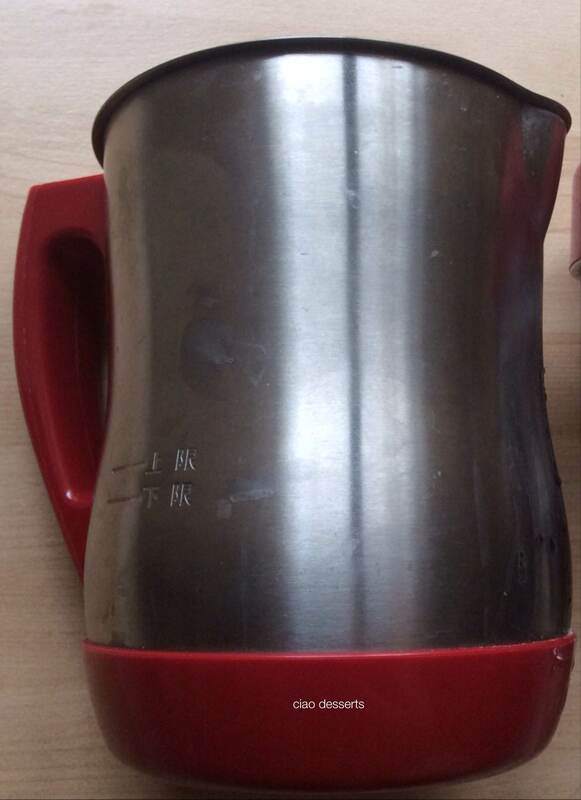 There are two lines here on the outside of the jug indicating the minimum and maximum amount of water and beans the machine can hold. To me, the location of this on the outside is not that useful, since the container is not see-through, so unless you have x-ray vision, you can’t really see how much you are pouring. 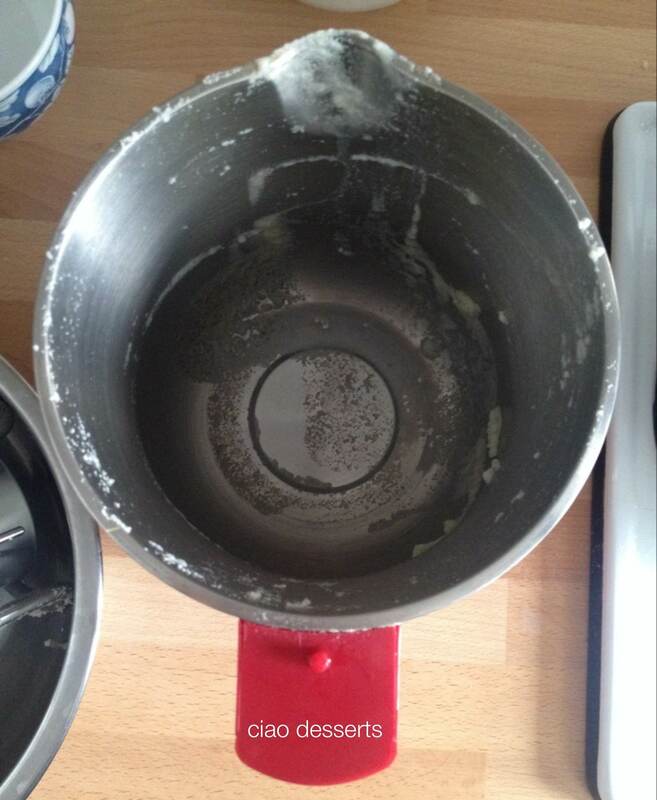 There is another line on the inside of the pot, and I used that as a guideline. I poured in the pre-soaked beans and filled the water to the “maximum” amount line. Unfortunately, that line is also a bit hard to read, but I did the best I could. There are four buttons on the top of the machine. 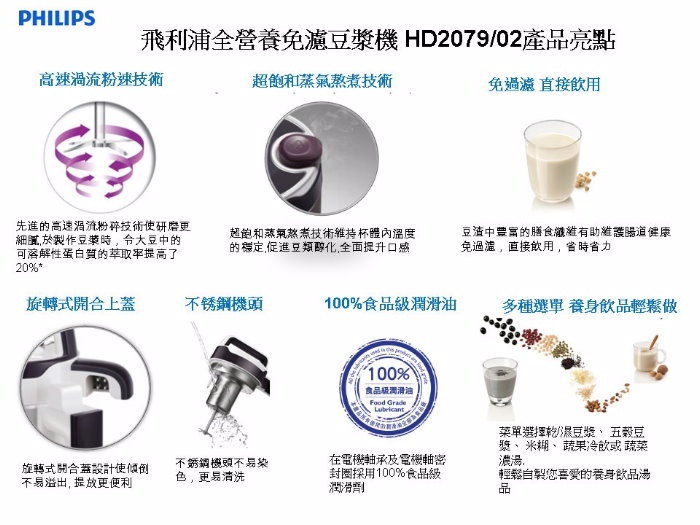 From left to right, the functions for each button are for dry soy milk, wet soy milk, “nutritious congee” and a self- cleaning button. When I went to move the machine further back against the kitchen counter, I discovered that the electrical outlet was loose. 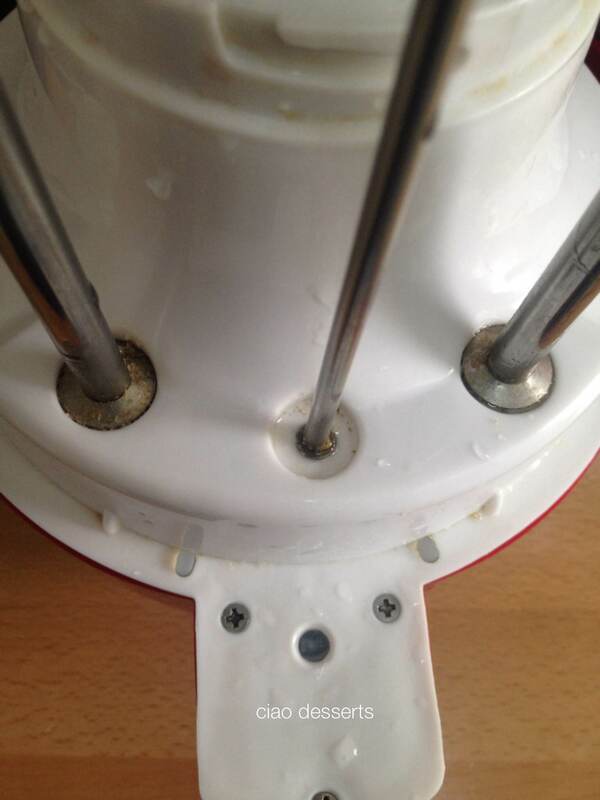 One tiny, two-handed shift of the machine, and the plug actually came out of the socket. But since the machine was already whirring away, I crossed my fingers and shoved it back in, and hoped for the best. This is quite a serious (and potentially dangerous) design flaw! I have to mention, this machine is noisy. 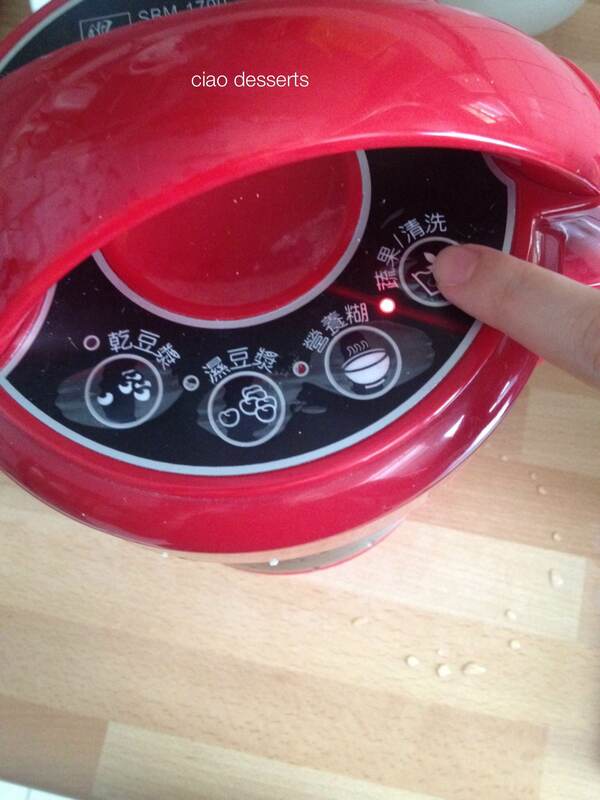 In the first few minutes of operation, the machine first heats up the water. Then it goes though two to three cycles of grinding. This is when you just want to throw up your hands and run for cover, because the noise of blade against beans will absolutely grate on your nerves. But, in about 25 minutes or so, you are rewarded with a half jug or so of freshly made soy milk. Warning: The jug is very, very, hot. My arm accidentally brushed against it when I was reaching for a rubber spatula. OUCH. 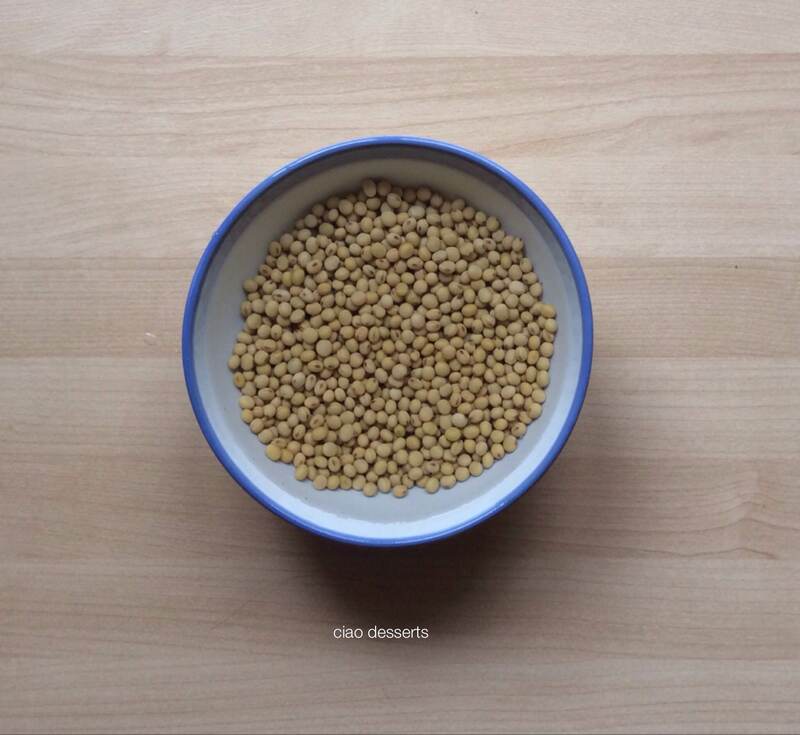 (The white residue on the sides of the container are the remains of the pulverized soybeans) Make sure you have a strainer handy, to strain out those gritty bits of soy. I used a rubber spatula to scrape down the sides of the jug. 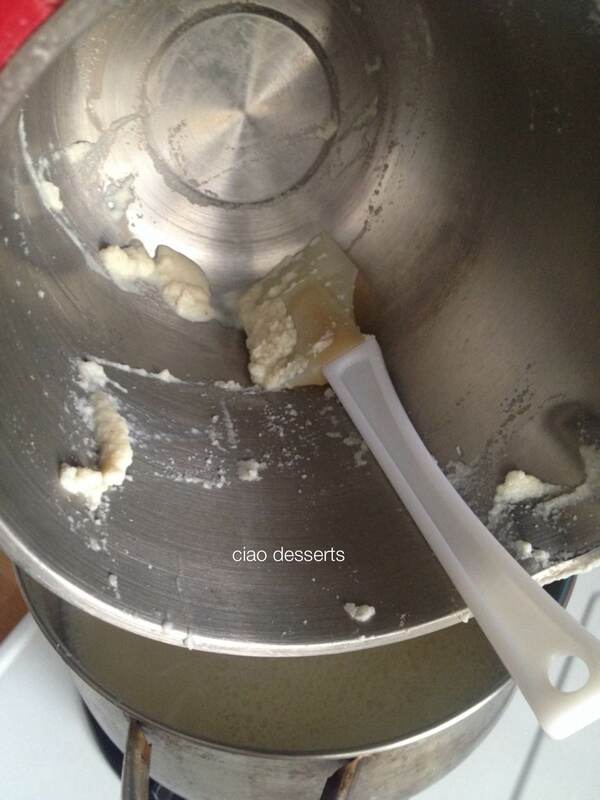 If you are making multiple batches, this is necessary, because the bean residue just gets more and more attached, and harder to scrape off with each successive batch. 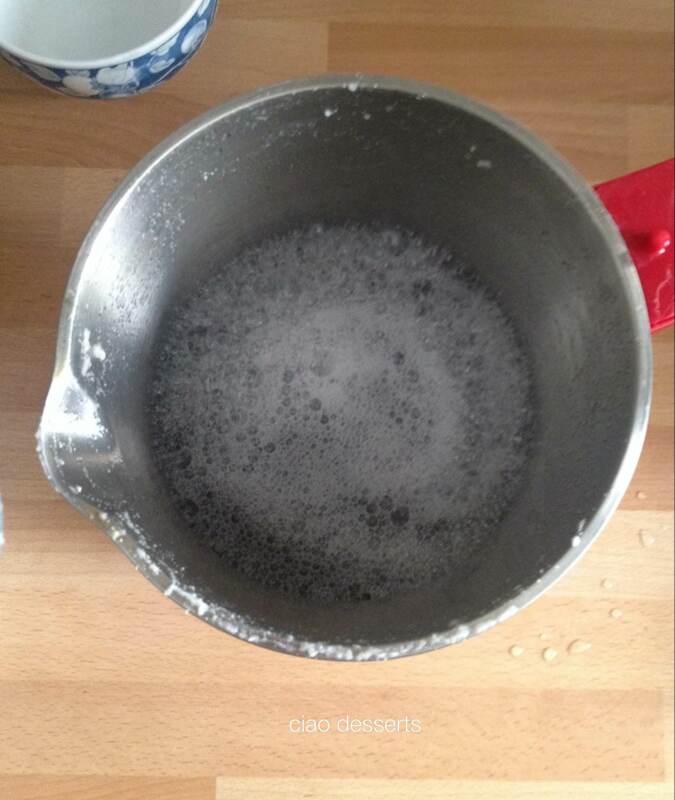 I then poured the soy milk into a waiting pot. 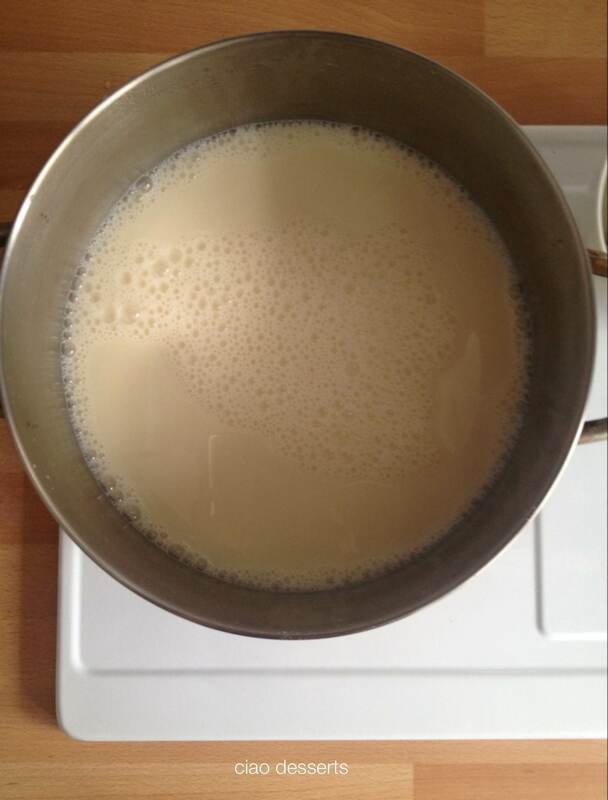 Now, the verdict is out on whether you should boil the soy milk again. When I first tasted the milk fresh out of the machine, I was a bit dismayed. 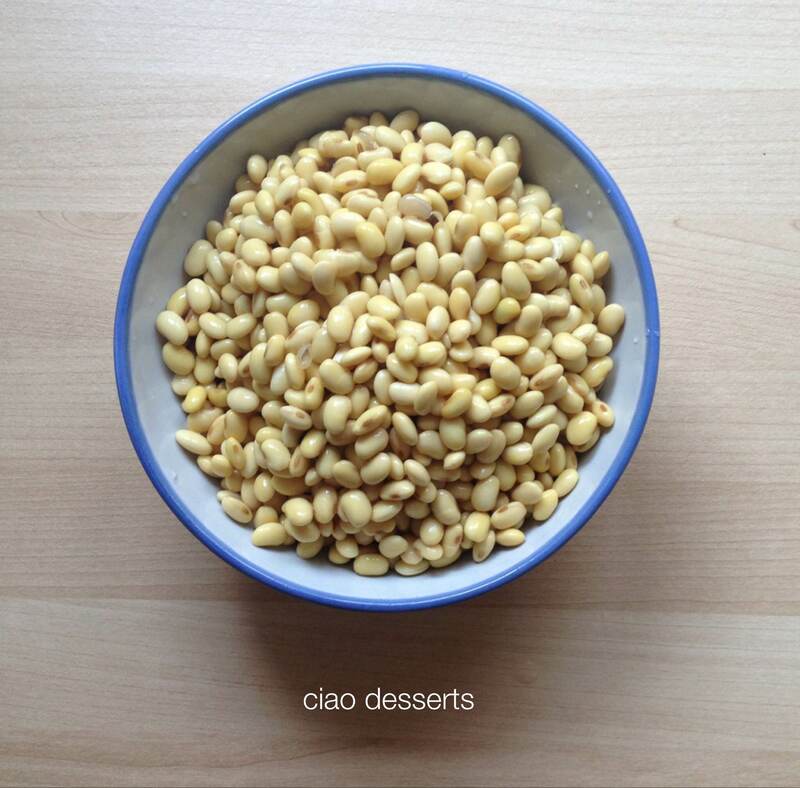 Because it tasted of a fairly strong, raw bean flavor. The rest of my family didn’t really seem to be bothered by this, but I was, so I did a little more research online, and it turns out that you can boil the soy milk, to get rid of some of the enzymes, and the bean flavor becomes milder (or more pleasant, in my view) However, the soy bean milk burns quite easily, so you really have to be vigilant, and stir constantly, otherwise you run the risk of ruining an entire batch. In the meantime, I ran out to my local Yong-He Soymilk breakfast place （永和豆漿） and grabbed a few sets of shao-bing youtiao to enjoy with my freshly made soy milk. 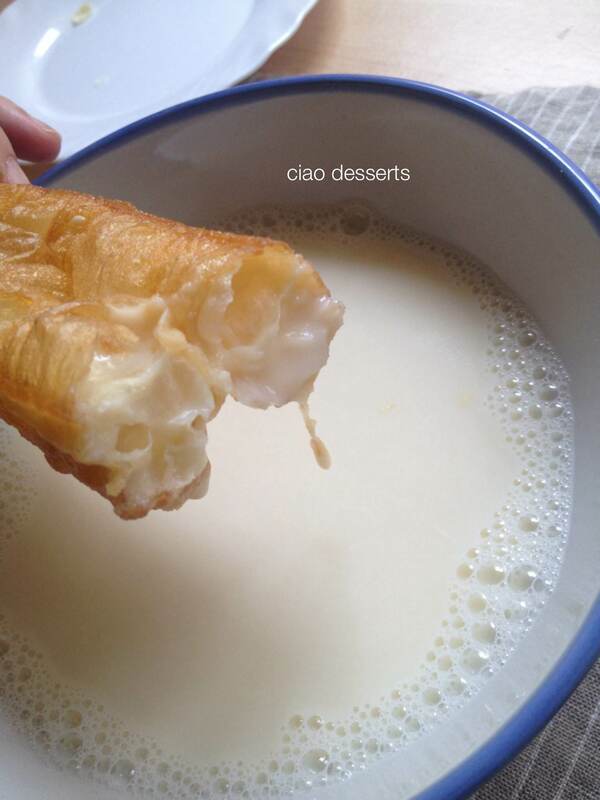 One of the best treats in the world, is to dip the youtiao (Chinese fried donut) into the soy bean milk. If you sweeten the soy milk, the combined taste and texture of drippy, sweet, velvety soy as it settles into each nook and cranny of the crunchy donut is simply wonderful, and must be experienced several times over one’s lifetime. 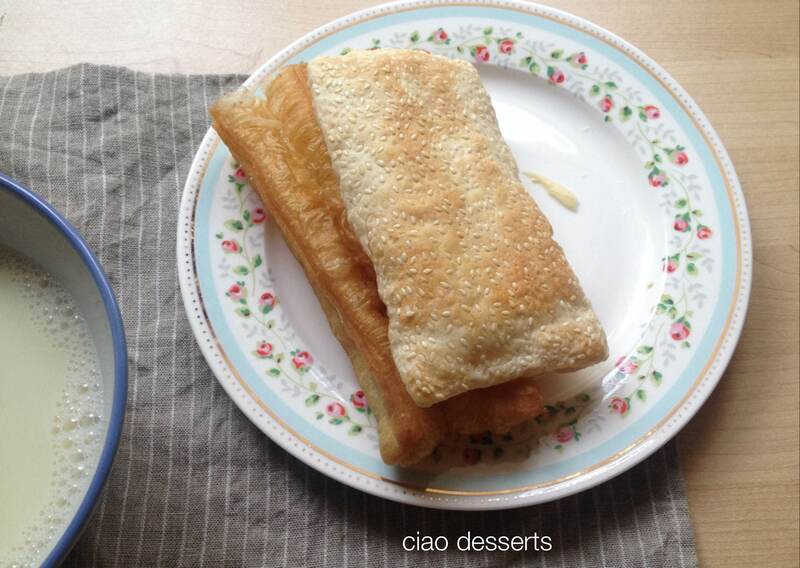 The enjoyment of breakfast is something to keep firmly etched in your mind, as you start to clean up. Because cleaning this machine is an complete, and utter nightmare. I optimistically pressed the “self-clean” button, and merrily went away to wash my beautiful Cath Kidston plate, while humming to tunes on my iPhone. The water didn’t even get hot during the cleaning function, and when I opened the lid, I was greeted with a cold bowl of bubbles. And yes, soy residue still firmly attached to all the parts. Rather than deal with all then and there, I soaked the machine in hot water for about a half hour or so. However, the machine still required a vigorous scrubbing. And once you detach the steel cylinder surrounding the blade, your fingers are totally fair game. (I cut both middle and ring finger when my hand accidentally slipped) It’s impossible to clean this machine without experiencing extreme frustration. 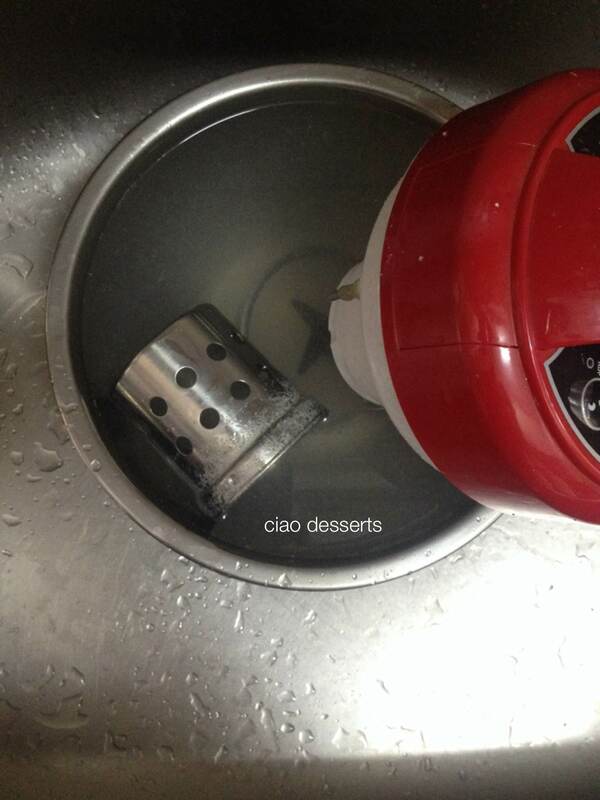 You have to be careful to keep the top part of the machine out the water, because the electrical outlet is located there, so you basically have to scrub in an upright position. 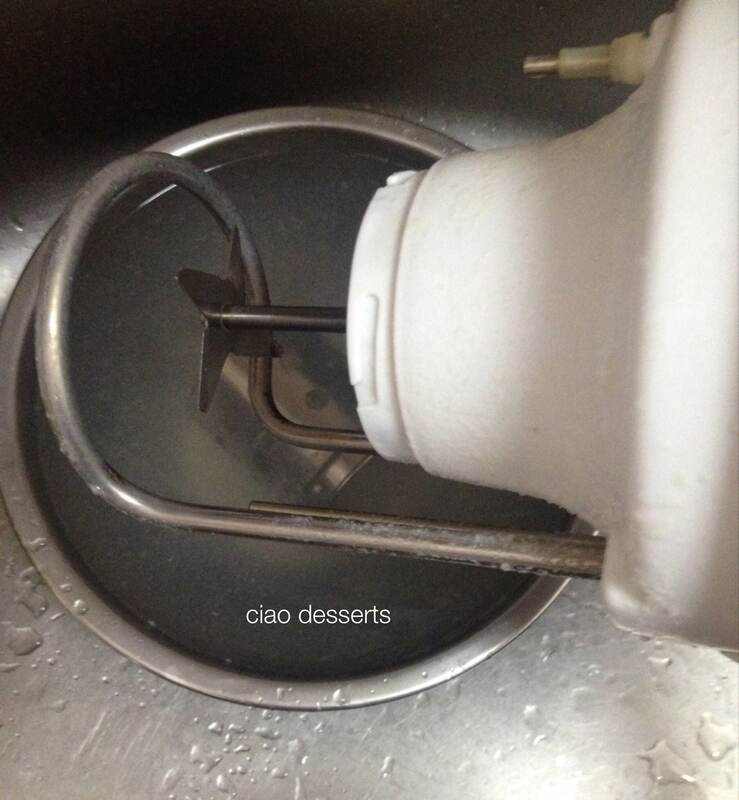 But then, it slides around like crazy in the sink. 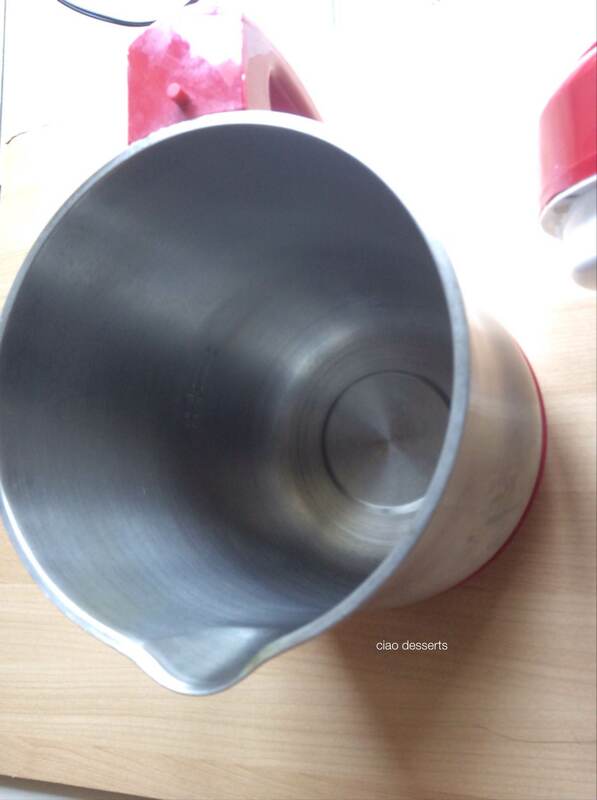 Finally, my solution was to prop the machine up inside one of my mixing bowls. After about 10 minutes of vigorous scrubbing, there were still some sands of soy stuck in the top part of the machine, near the lid. I just gave up by then, and left the machine to dry. 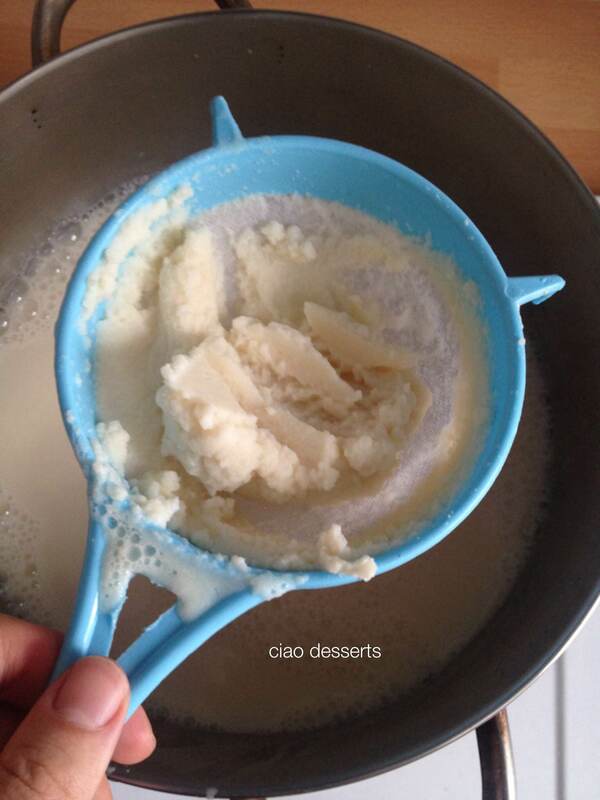 I was able to scrape off some of the soy afterwards, but still some remained. The actual soy milking process took less than 30 minutes, but the cleaning up of the machine took at least twice as long as that. Consequently, if I decide to continue my soy milk making endeavor, I would definitely look into a machine that was easier to clean. 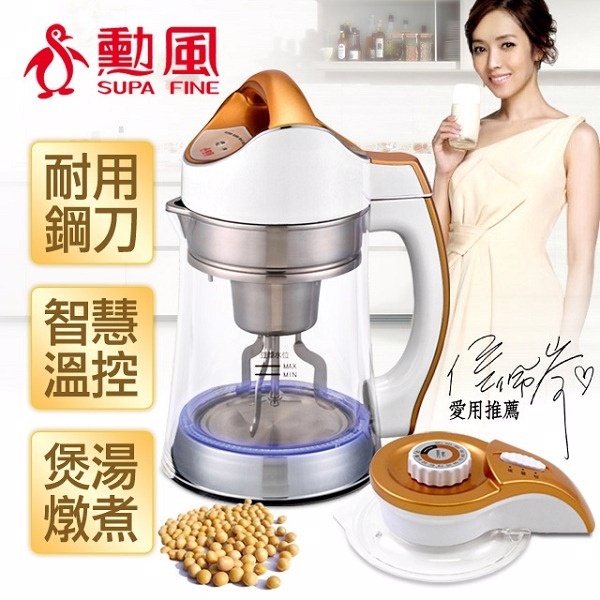 There’s certainly quite a few options to choose from on the market today (in Taiwan) For example, this one here from Supafine (seriously, that’s the brand name!) has a clear jug, which would make measuring water and soybeans a lot easier. 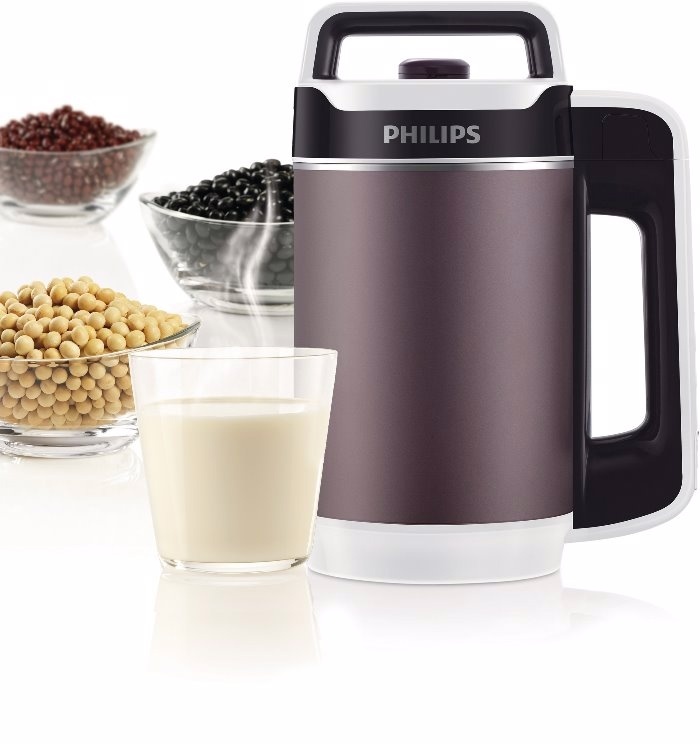 Another model by Philips especially caught my eye, because it can grind the beans so finely that there’s no need to filter the soy milk before drinking! It’s also supposedly a very quiet machine. Plus, it looks like a kitchen appliance, and not a toy. 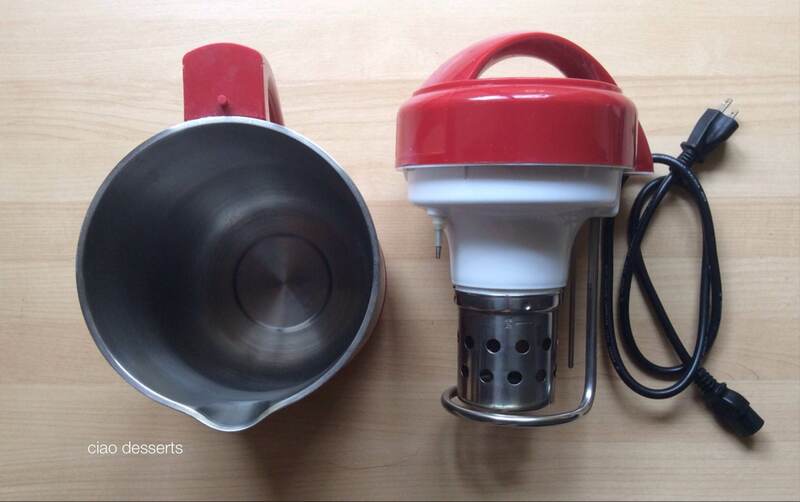 But, after the experience with the CookPot machine, I strongly believe that you really have to see this type of machine operate in real life, before making a decision about whether to incorporate into your kitchen. If possible, watch a demo in the store from start to beginning, and make sure to ask questions about the clean up process. I’ll be going to look at soy milk machines soon, so I’ll report back if I buy a new one! Update: Hi everyone! 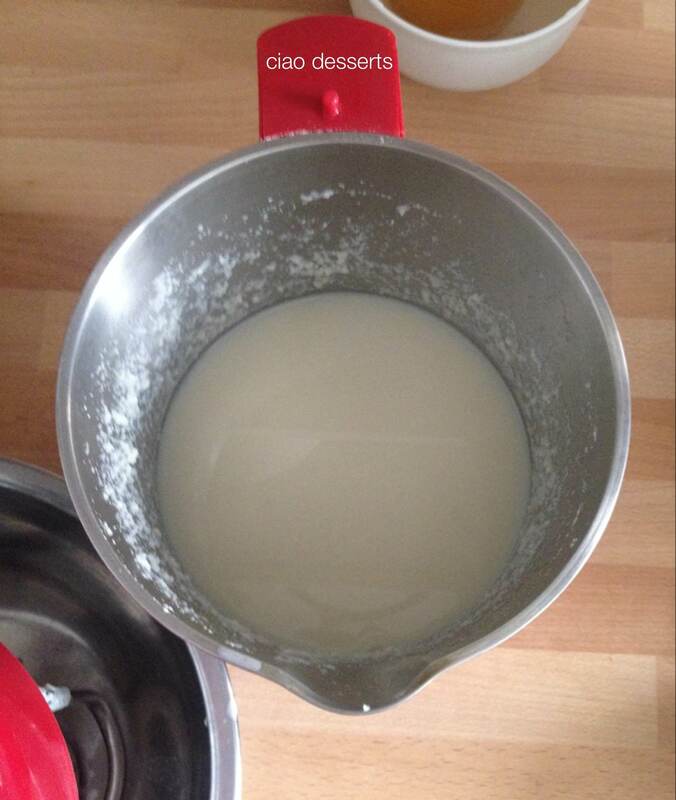 I finally decided to purchase the soy milk maker from Philips, and you can read my review here. A note of thanks here. I saw one of these in a consignment shop, googled the model number and this was the only relevant link. I was quite surprised to see a complete guide in English, along with great pictures. I’m on my way back to buy it, if it is still there. Hi Jim, Thanks for your comment! I hope you get the machine~ and please come back and let me know your thoughts on it! It is not bad. 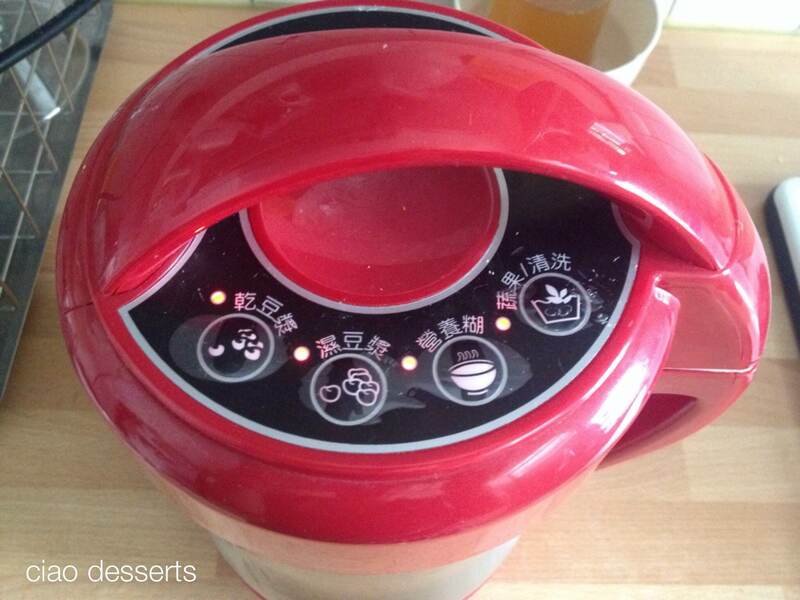 I had a Soyajoy machine when I was in the USA, and it had more features but it was harder to clean. The SBM-1700 came pretty clean with a quick rinse and scrub with a scouring pad while it was still hot. This does the job, and has a level sensor to keep it from foaming over during heating which some of the very cheap ones do not have. I don’t know if I could recommend it since I don’t know what it costs versus the competition, but it was worth the 500 NTD I paid. I wondered at first who was playing, Jingle Bells, then realized it was the soy milk machine dashing through the snow in a one horse open sleigh. I guess every day is Christmas over at Cook Power Co. Ltd.; at least it doesn’t play the garbage truck song. It could provide a better way to strain the okara, but that isn’t such a big deal for me. The Soyajoy machine has a basket that fits over the blade that holds the soy beans and retains the okara, but I don’t think it is a good trade off because that limits the amount of beans you can process, and it seems to me that such a design puts a lot more stress on the motor. This unit was made April, 2012, I don’t know if they change stuff over the production run.